CAT 2015 details and application process to be notified in July this year. CAT Exam 2015 is to be conducted by IIM Ahmedabad and TCS. Usually the exam notification come sout in the month of September and CAT Exam is conducted in November. This year CAT Exam is expected to be conducted a month before viz. in October. 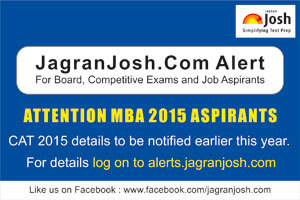 On the similar lines, CAT Exam details will be notified in July 2015. CAT Exam 2015 will be conducted by IIM Ahmedabad and the technical partner will be TCS. It s expected that this year CAT Exam will be conducted on a single day divided in two sessions. Previously, CAT Exam had a test window and CAT 2014 was conducted on two days.